With a new season right around the corner, we’re all looking for new pieces to add to our seasonal wardrobe. I wanted to share how just a touch of creativity can allow you to remix your wardrobe and create great outfits. You would be amazed at the depth of your wardrobe! 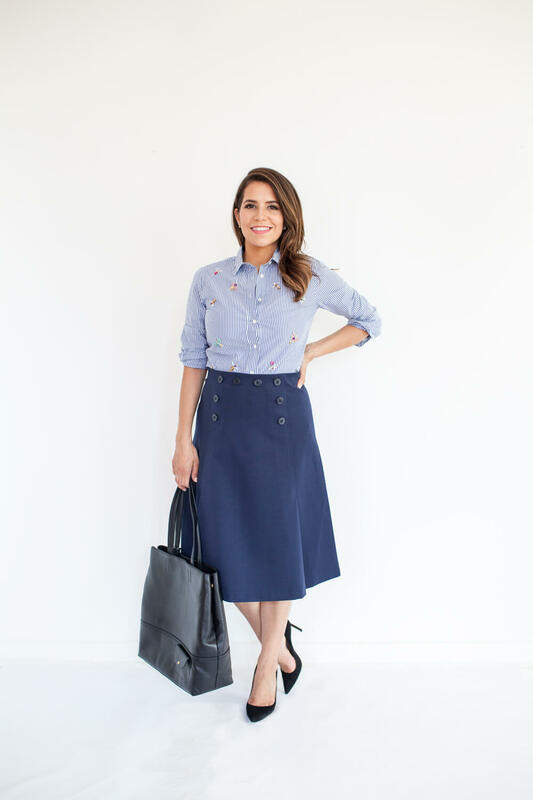 You will find that you can utilize a blouse or a skirt in multiple ways and it will ultimately reduce the feeling of always needing to go out and buy more and more. In today’s post, I am sharing 20 outfit ideas from just 12 new pieces. 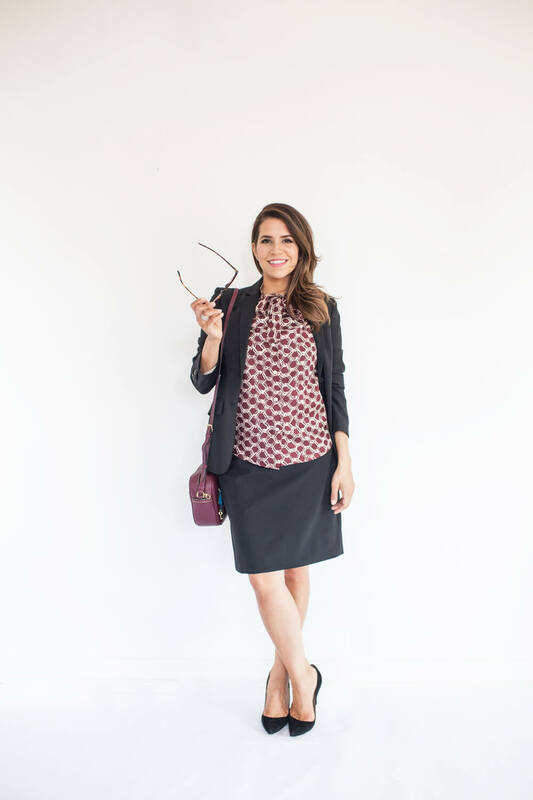 I mixed and matched them to create looks for both formal work and more casual office settings. All of the pieces are from the J.Crew collection with a couple of their old ones mixed-in. These meetings tend to be more formal so I like to incorporate black most times. As a petite woman, I always wear heels. However, as you will see in the looks below, don’t feel the need to always wear a suit. You can get creative with your tops, blouses and accessories. Try out stripes or a patterned look. Oh, and don’t be afraid to add some color. If you want to expand your professional wardrobe, invest in these four staple pieces; [black] blazer, trousers, dress and heels. I like when my suit pieces match as it provides consistency in my wardrobe, but it’s simply a personal preference. ps. don’t be scared of embellished tops, it’s all about the dainty details. When meeting with clients, particularly when entertaining at lunch, you can be a little more creative with your outfit. I’d recommend a more tailored outfit for these types of settings. Before any lunch meeting, I always look up the restaurant and figure out the dress code. I also take into consideration who I’m meeting with. If it’s a CEO, I’m wearing a suit. If you’re meeting with a small start-up, opt for something on the slightly casual side. Rule of thumb in business, try and mimic your client, not only in what you’re wearing, but in conversation. Fri-Yay! If you are lucky enough to be in an office where casual Friday is jeans and a t-shirt, you are all set 🙂 However, some offices are more formal so it’s best to stick with your daily workwear looks. To dress it down, simply switch out one piece for something more casual. For example, wear trousers, a blouse and flats. You can always switch out your trousers for dark denim if you prefer. 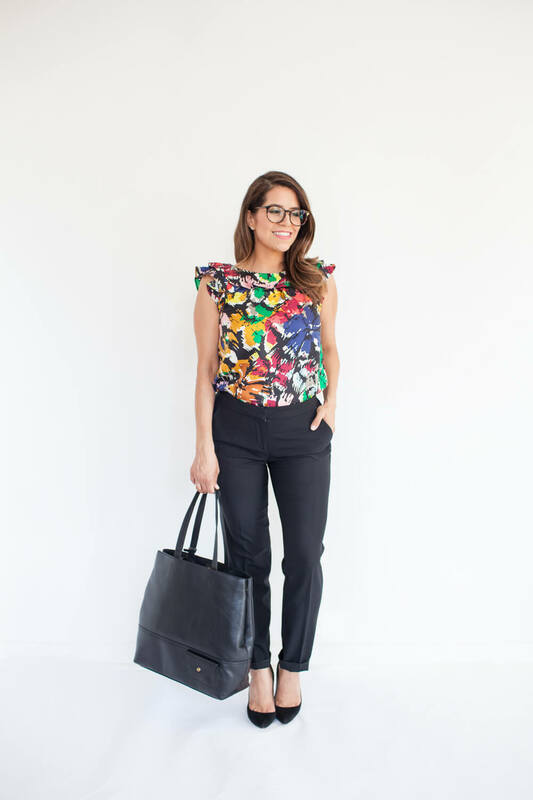 Also, switch out your work tote for a trendy cross-body and say goodbye to heels and hello to cute flats! This look will depend on your boss. If your boss is the President or CEO refer to my outfit ideas above in Business Meeting. 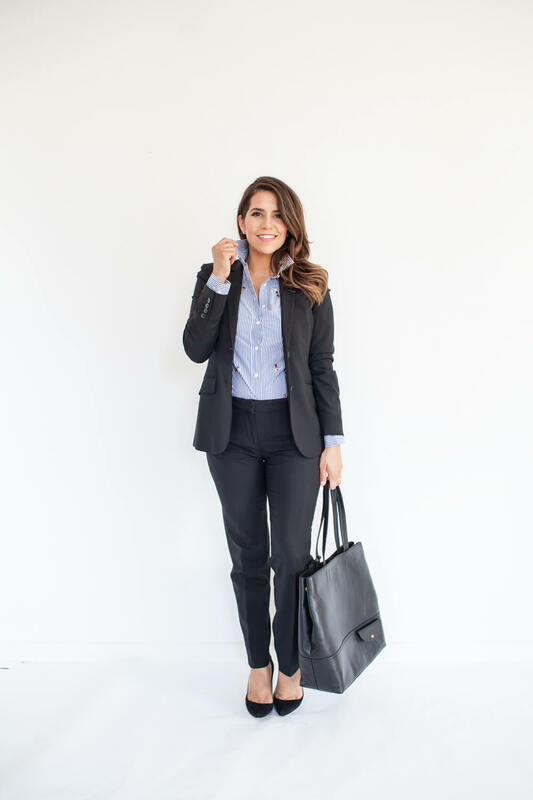 If you’re meeting with a manager or Area VP, here are formal business outfit ideas to look professional, but with no mandate for boardroom attire. When meeting with your higher ups, what’s ultimately most important is to be on time, alert and prepared. I do recommend setting out an outfit for big days at the office, it just makes your life a little less hectic. 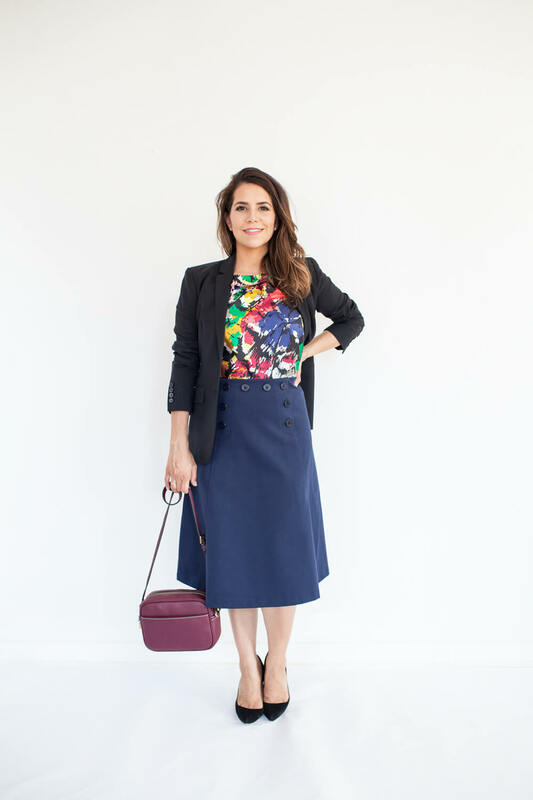 You can wear these outfits whenever to the office. From “I have nothing to wear Mondays” to Hump Day Wednesdays. These outfits still look business professional, making you ready to present to the team at the drop of a dime. 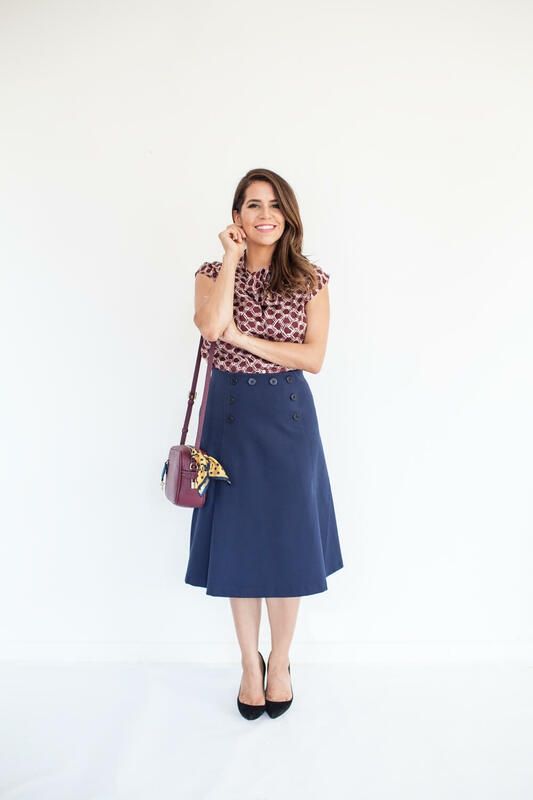 As you’ve seen in my previous outfit ideas, pencil skirts are great staple pieces to have in your wardrobe, but you can just as easily wear a top or blouse over a sheath dress. Keep these outfit ideas in mind when shopping for new pieces this season and have versatility in the back of your mind when shopping for your staple items. 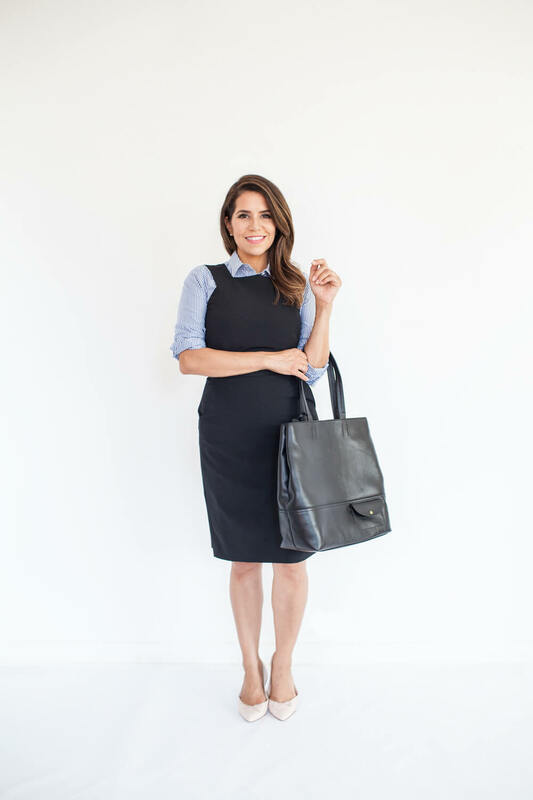 If you are on a budget, or you just don’t want a closet full of “work” clothes, be sure to look at your current wardrobe to see what you can incorporate with the new pieces you pick up. Your pocketbook will thank you and you will gain miles out of your clothes that you didn’t know they had. I do typically update my wardrobe each season, getting rid of pieces I didn’t wear too often to keep my closet fresh. Hope you enjoy the post! Be sure to keep following me on Instagram. If you’re not, you can find me @corporatecatwalk. You can also pin all these outfit on Pinterest to keep in your memory box. Or better yet, BOOKMARK this page…and the next time you have nothing to wear, head back over to Corporate Catwalk and find your inspiration! Awesome post! I love the outfits you picked. Great round up! I have my annual review this week at work, so I’ll definitely be using some of these looks for inspiration. So many great looks – my fave is the striped top. I just wanted to let you know that pictures loaded way faster today!! Thanks! Love your blog! Fantastic post. Really great reminder to play with items and style pieces in multiple ways to get extra mileage out of your wardrobe.